We are happy to announce that it is now possible to fly your favorite add-on under Windows 10. The 1.016 version patch can be found in the USER AREA under SUPPORT on our website. ◦Fuel page 1: Default setting for Fuel entry is "total"
+ Fuel page 1: Default setting for Fuel entry is "total"
Well the Boss has made it official - that after 5 years of the Q400 PRO being in development, we plan on releasing this long awaited BEAST on the 18th of November (PROVIDING that there are not any last minute hang-ups). For most, the only thing that you guys are awaiting is the Shared Cockpit functionality - so be sure to get up to speed on being proficient and able to properly handle the aircraft so that your CA or FO is not doing all the work by themselves. We the Majestic Software Team (Oleksiy, Dimitri, Nicolai and Simeon) would like to thank all of our supporters - for without you all this venture would not have been possible. In the TRAINING edition, the flight controls can be disconnected and the respective independant flight controls system will account for the pilot flying position (based upon the pilot head position in the Virtual Cockpit, or the type of the main panel in the 2D cockpit). A set of the network-enabled executables, showing the 2D panels independantly of the Microsoft Flight Simulator can be used to augment the home cockpit building or the CBT like pilot training applications. Working FMS ARINC function, which can be used to request the weather at any METAR enabled airport, as well as (optionally) receive the weather analysis graphics for the current region. The Flight Data Recorder is a part of the System Control Application, which can be used to record and visually reproduce a flight, such allowing for the classroom demonstration or analysis of the particular situations in the aircraft operation. The Patch can be downloaded from the USER AREA of you account on the Majestic Software Support Forum, and follow the included instructions. It is OFFICIAL - the long anticipated wait is over - the Majestic Software Q400 update (PILOT AND PRO Editions) for Lockheed Martin's Prepar3D version 3.4.9 is available (several folks know this already). The update can be obtained from the User Area of the Majestic Software Website where instructions are provided for all simulation platforms. Thank you all for your your continued patience and support. The wait has been a laborious one for all crew members that were grounded for the past 5 months awaiting their Q400s to become air-worthy for use with Prepar3D v4. We are pleased to announce that the x64 bit version of the Majestic Software Q400 addon is currently being tested in-house, and should begin beta testing shortly, and the "tentative" release date is now being set for Monday 23rd of October 2017. 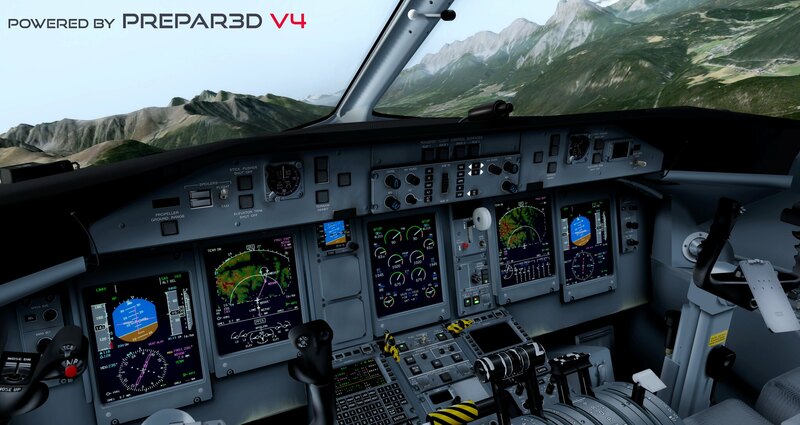 As mentioned in previous updates, there has been a significant amount of work that had to done to resurrect the Q400 for the x64 bit version of Prepar3D, which included replacing a number of functionalities, such as the navigational database engine, 2D panel graphics engine, network and interfacing - to enable them to function and take the full advantage of the x64 bit platform. Hopefully, the beta testing stage will be fairly straightforward (fingers crossed). So the question everyone's been curious about: Will there be a cost for the transition to Prepar3D v4? - Yes, there will be. Current owners of the PILOT & PRO editions for FSX/FSX:SE/Prepar3D v3 Q400 PILOT and PRO will be discounted significantly for the Prepar3D v4 transition. The discounts will be provided by the stores where the original purchases were made, or by Just Flight Ltd for the Boxed editions. New purchases of the MJC Q400 PILOT and PRO Editions for Prepar3D will be the same as the FSX/FSX:SE and Prepar3D v3 editions.